The NHS was established to form a network of highly accomplished individuals that will collectively sustain and pass on the legacy of Hellenic heritage to future generations. Executing this vision revolves around a complement of NHS programs, assessed, approved and overseen by the NHS Program Committee. The Committee encourages NHS members to be proactive in suggesting programs that advance the NHS’ mission at the local level—tailored to meet the needs of the local community. The NHS supports the development of programs benefiting the Greek American “community” as defined within a modern context. 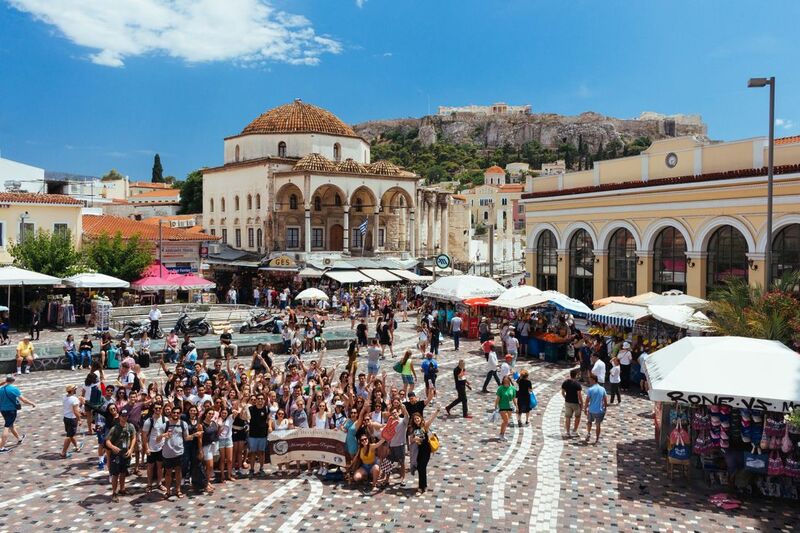 The changes in the Greek American demographics represent tremendous opportunities to help the next generation reconnect, explore and embrace their Hellenic roots and heritage. The NHS is committed to develop meaningful, relevant and inspiring programs at the regional/chapter and the national level, tailored to meet the needs of the growing and vibrant next generation. Honoring Hellenic heritage is a celebration of western values and man’s life mission to fulfill the endowed potential that each individual possesses. The ancient Greeks reveled in deep thought; engaged in dialogue that led to truth; respected honor; loved beauty, music, literature, drama, art; and, of paramount importance, respected freedom and democracy. The NHS celebrates this incredible legacy and heritage and is committed to disseminate these values to the mainstream in the quest of “Hellenizing” others that share these values irrespective of race, creed or faith—as Socrates wrote: we are all “citizens of the world”. Hellenism’s values, ideas and legacy are a safeguard of the next generation’s future. The NHS’ commitment to preserve this legacy translates to programs that impact society at the local and national level. Through partnerships with like-minded organizations and leading institutions, the NHS welcomes grant proposals that preserve Hellenism’s gifts in meaningful and relevant ways advancing and improving society.